I was lucky to heal from my tongue piercing quickly, but only because I followed all the rules! So you finally did it! You went out and got that weird muscle in your mouth pierced! I'm so proud of you! Or maybe you're still thinking about it and curious as to what it's like to take care of this piercing. Either way, I'm here to help you. The tongue piercing is an interesting thing. It can be done straight down the middle, horizontally, one on each side of the tongue; it's a very fun piercing. Not only is it super cool, but it can come in handy at times too. Thinking about getting it pierced? If you want to do it, then do it. It only hurts for a second and the healing is a piece of cake. You can 'play' with your tongue ring. It's always cool to be the one person with a pierced tongue—they're not as mainstream as you might think. I've loved mine since the day I got it. It's a great form of self-expression, good for plain rebelliousness, or even just wanting to have a cool-looking tongue. Don't let your friend do it, PLEASE. Make sure whoever you go to is super clean and professional. They should also give you care directions as well. Everything I typed here is basically what my piercer told me. They should sound like they know what they're talking about. Things should be sterilized and needles should be brand new. 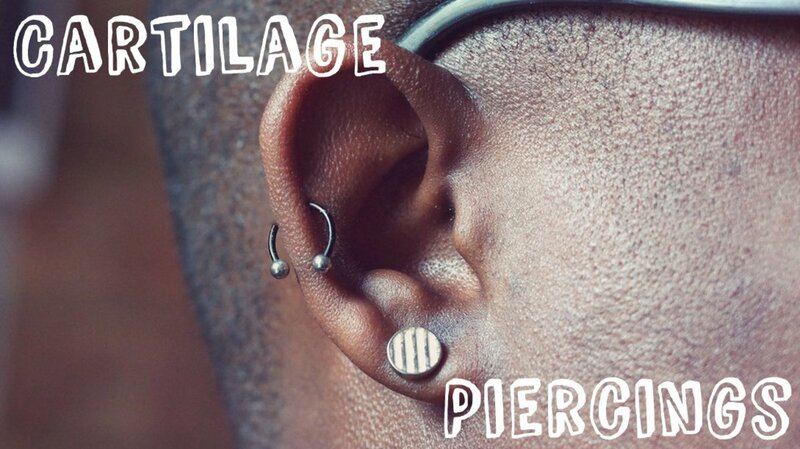 Got yourself a piercer? Good, let's go get pierced! 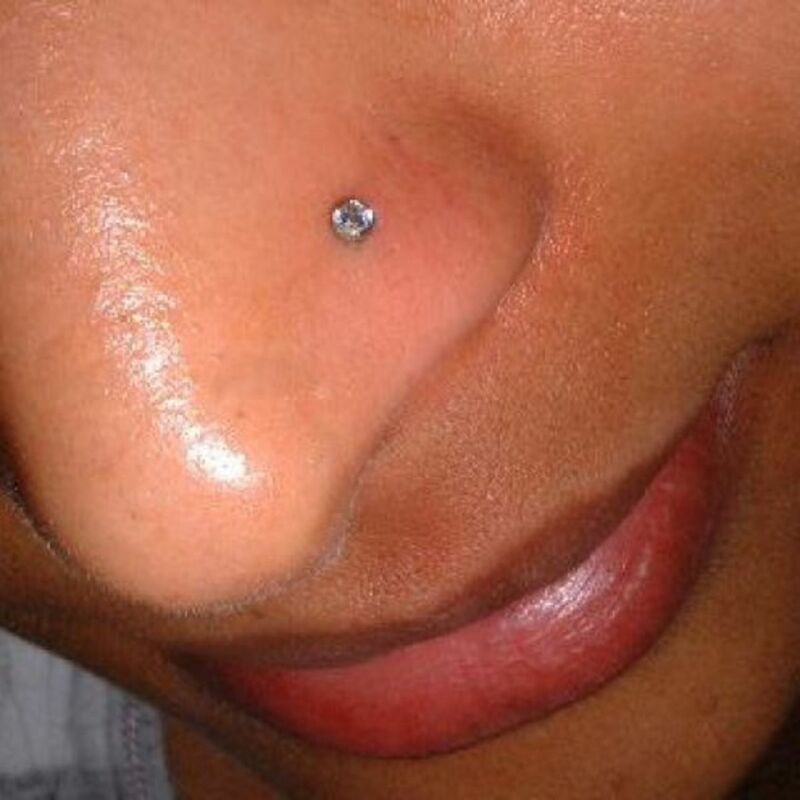 Prices range anywhere from $20–60, but just make sure you don't pay someone really cheap for a really bad piercing. Sometimes the high prices are worth it. At the studio? Good. They're a clean, well-organized business? Awesome. Okay, the clamp hurts more than the piercing. Good luck! Now that wasn't as bad as you thought it would be, right? Now your piercer should give you directions to follow. LISTEN TO THEM. And me. Alright, so you've just left the piercer and you're on your way to get the stuff you need. But wait! What do you need? You will need to buy some kind of alcohol-free mouthwash. I used Biotene, and it worked great. Otherwise, as long as you have some salt and water at your house, then you don't need anything else. You could pick up sea salt if you want to do the whole natural thing. Now you're going home. Your tongue doesn't really hurt too much yet, you're just mad about this huge barbell in your mouth. Don't worry, that can downsize in a few days when the swelling goes down. Yes, it is going to swell a lot, but don't panic. An hour or two goes by and now you can feel the swelling. I suggest taking some kind of over the counter painkiller just to help a little and try to combat the swelling. Your tongue will probably get 2-4 times its original size. Now the most important rule. In order to keep your new piercing clean, you must use the alcohol-free mouthwash after almost EVERYTHING you do. After you eat, after you drink, after you smoke, after you kiss. Basically, if something is going to put germs in your mouth, clean it out right after. Alright so it's almost bedtime now, and your tongue is huge. Yeah, you didn't actually think your tongue would fill up that two-inch barbell did you? But it did. Take some acetaminophen if you need to, but make sure you clean your mouth after. Eating can be really difficult during the healing process. Many people recommend eating things such as ice cream, soup, etc. I found that eating anything with a spoon made me want to die. The spoon would touch my tongue and it was the worst. I found the easiest way to eat was to just eat a normal meal, except using a fork, place the food on your farthest back molars, chew it up, and swallow it from there. That way, you can make sure it doesn't affect your tongue. But if eating soft stuff with a spoon works for you, then, by all means, do it. Before you go to bed is when you will want to make a good saltwater mix. Just brush your teeth like regular and then rinse with a few shakes of salt mixed in with water, or some H2Ocean, which is what a lot of piercers recommend. There is no need for mouthwash at this time. When you wake up in the morning, have another saltwater rinse. Then continue on about your day. 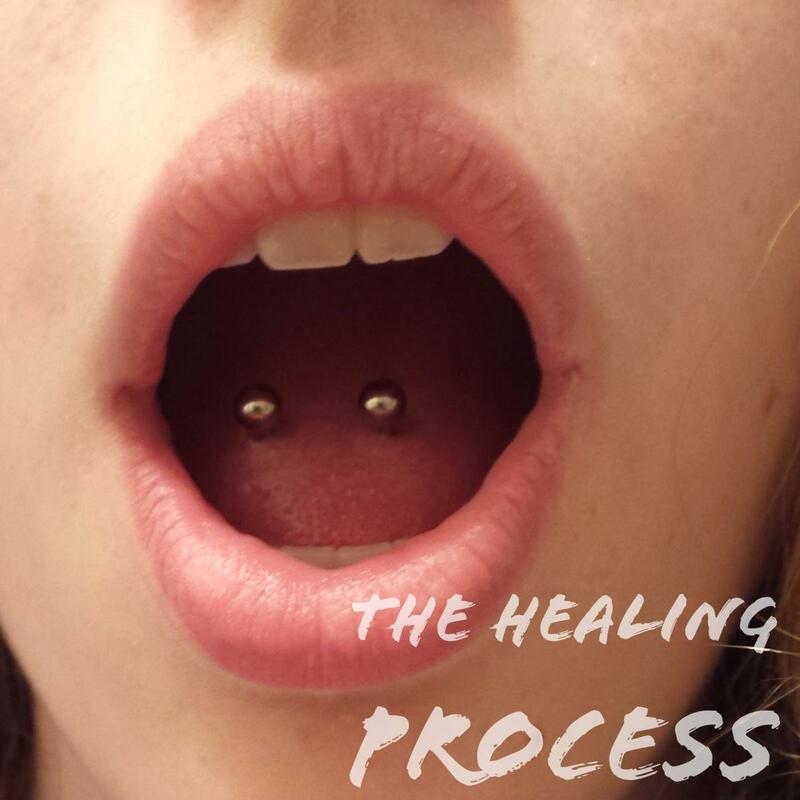 The basics of caring for a tongue piercing are really simple. In the mornings and before you go to sleep are the only times you should be using your saltwater rinse. Then throughout the day as you need (when you eat, kiss, smoke, drink), carry around a small bottle of mouthwash and use that. 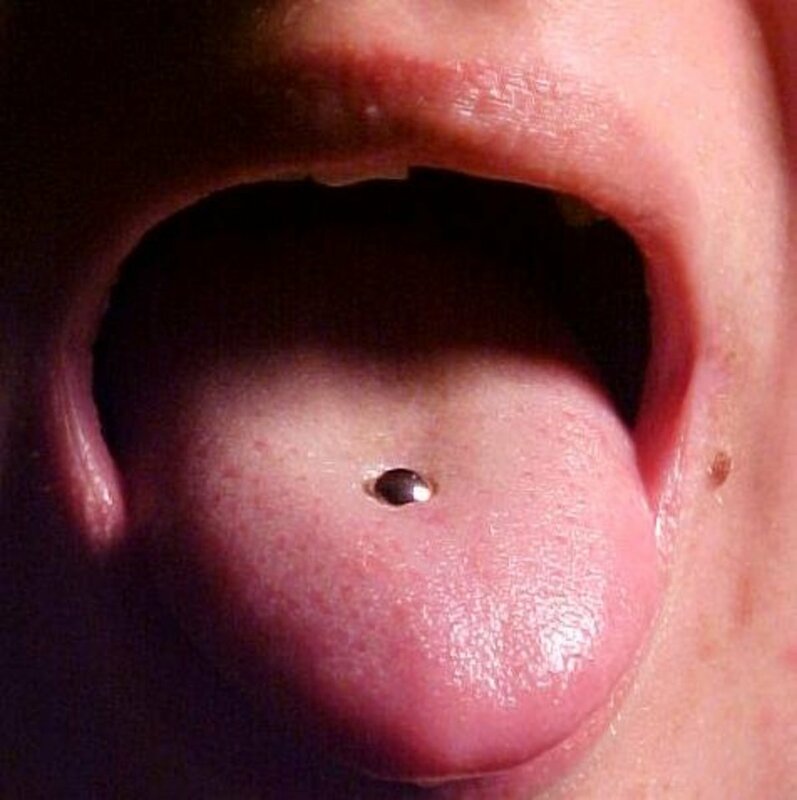 Tongue piercings are not hard to care for and they do not take long to heal. You will be suffering with that swollen tongue for three days at max. Then after a week or so, when you're positive that the swelling is done, you can go back to your piercer and they will put in a regular-sized barbell for you. After that, you are the proud owner of a pierced tongue! I got my tongue pierced on Wednesdays and it is really swollen and it hurts what do I do?? Tougne priercings dont hurt only the after pain does and its a tube they use not a needle. Im getting my tongue pierced friday and im super nervous people tell me that the clamp hurts more than the needle? Ive had piercing done before like my nose and my belly button any tips about getting my tongue pierced? Thank you so much for such important information about tongue piercing.it sure really helps because it can be very uncomfortable.